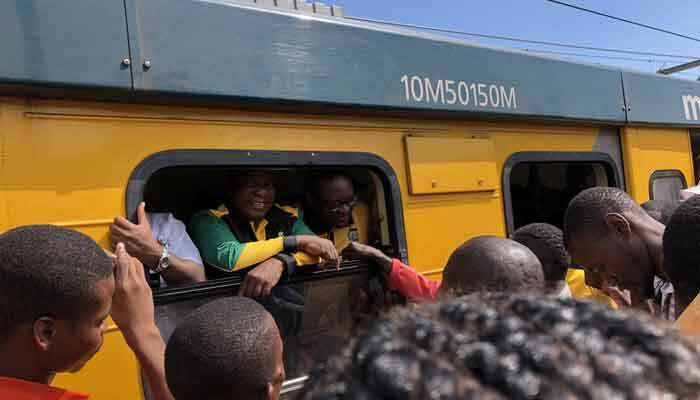 JOHANNESBURG: South African President Cyril Ramaphosa stuck on a commuter train for several hours on Monday, giving him a glimpse into the daily reality for commuters. As per details, Ramaphosa had to wait about an hour for a train to arrive at the station in Mabopane township to the capital Pretoria during his election campaign. The train took nearly three hours to complete what is normally a 45-minute ride from Mabopane to Pretoria, after it suddenly stopped while he was on it. Train delays are a daily occurrence and derailments are common in South Africa.